Deeniquia “Dee Dee” Dodds has passed from gunshot wounds relieved July 4. She is the fifteenth transgender person murdered this year. Transgender women face a one in twelve chance of being murdered in the United States; Transgender women of color have a one in eight chance. 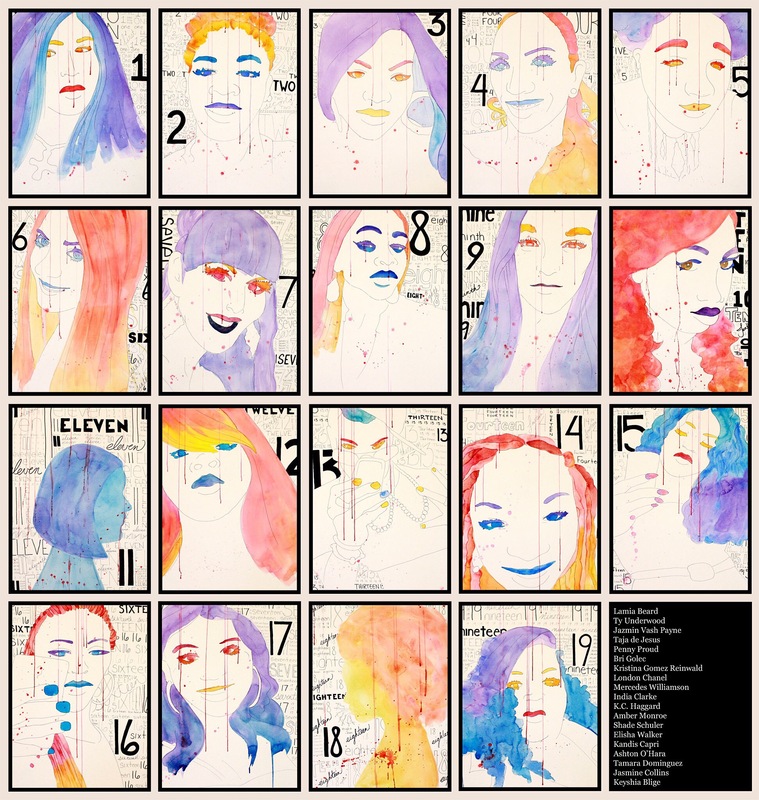 #SayHerName is a twenty-one piece set of 18 x 24 watercolor and ink portraits of Trans Women killed in the Untied States during 2015. 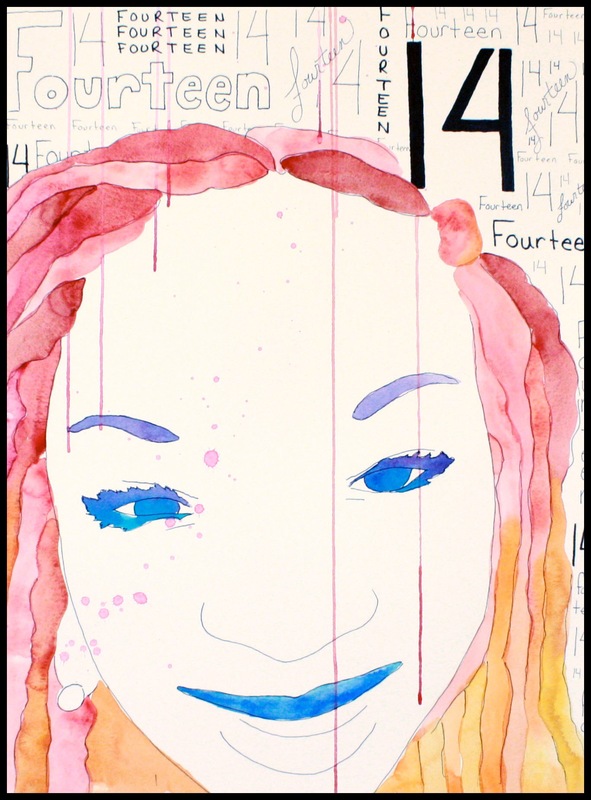 Each piece is painted in reds and blues with negative white space as a dra- matic contrasting element. This red, white and blue color scheme reflects the citizenship of the women and the culture that produced their deaths. 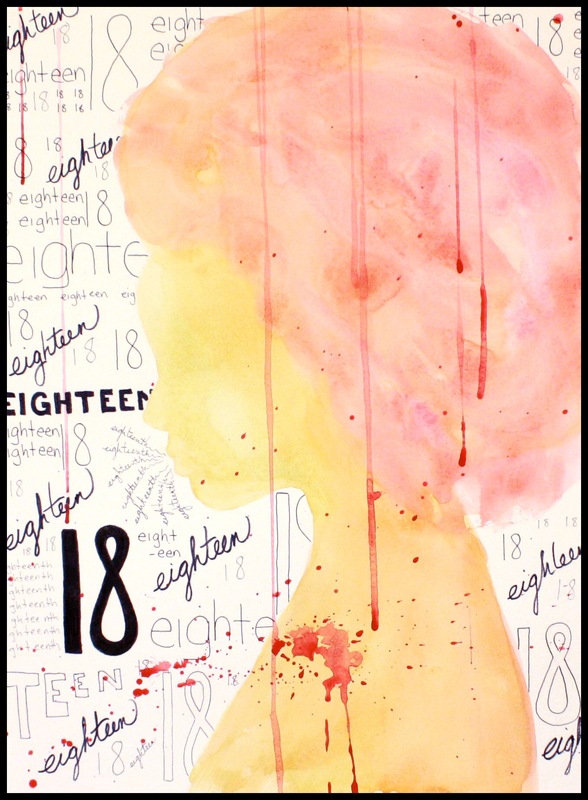 Paint is splattered across the pristine white of each page, representing the violence each woman faced. The backgrounds number their murders as reported (not the order that they occurred).